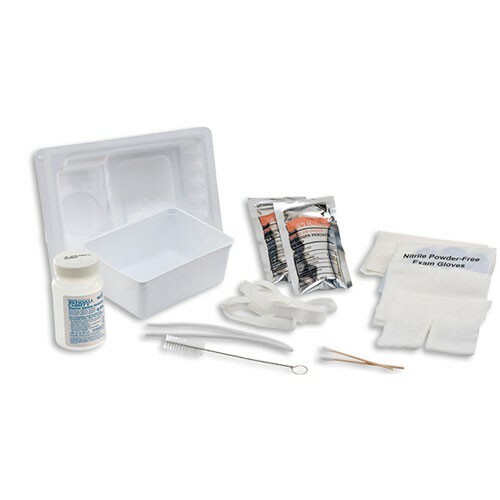 Argyle Tracheostomy Care Kits are sterile kits that are designed for single use. Each kit includes a variety of medical materials that are specific to tracheostomy care. Items within the kit help prepare, clean, and safeguard the trach tube. Because trach kits are disposable they help eliminate the risk of cross contamination. These kits are compact and easy to store. They are a convenient kit for any medical facility that treats tracheostomy patients. The contents of each kit are unique from one another, so there is a kit that will match each patient’s trach tube care needs. Whether the patient has an Uncuffed DIC Tracheostomy Tube or a Bivona Adult TTS Tracheostomy Tube, these kits will help medical professionals provide safe and fast care without hassle. I love these kits because I am a very active trach wearer. I have one in my handbag and a couple in my car. I can clean my cannula on-the-go and save on the cost of disposable tubes. Complaints: (1) the protective lid on the saline is often impossible to remove and I end up having to use scissors or a knife, (2) the brush handle is too short to go through the whole length of the cannula. I love the individual hydrogen peroxide packs. Quick delivery. Great product exactly what I need.